Michael Feiz, M.D., F.A.C.S. is a renowned bariatric surgeon, not a photographer or an illustrator, but he understands the power of an image. 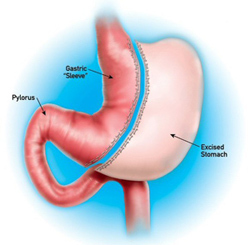 In fact, for many people considering a bariatric procedure weight loss surgery pictures that show the dramatic weight losses enjoyed by bariatric patients, as well as images illustrating how the procedures work, are crucial. 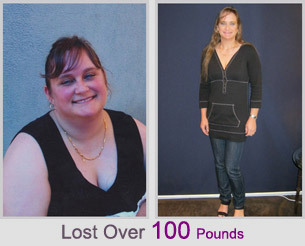 Indeed, examining weight loss surgery pictures makes a lot of sense for potential patients. The decision to obtain a weight loss surgery is not a small step; considering all aspects of the weight loss surgery options available through Dr. Feiz and Associates is the smart thing to do. Pictures often help patients to understand how the procedure will work and its likely benefits. As one of the nation’s most respected bariatric specialists, Dr. Feiz has accumulated many outstanding weight loss surgery pictures from happy patients who have experienced the kind of life-changing results seriously obese people dream of. Of course, real effort is involved; bariatric patients really do have to make important changes in their eating habits and overall lifestyle. Even so, time and again, obtaining the help of an outstanding weight loss surgery center like Dr. Feiz and Associates has been shown to make permanent and substantial weight loss vastly easier by reducing both the appetite and the ability to tolerate excessive amounts of food. If you are interested in moving beyond the pictures and personally experiencing the kind of life-altering, healthy weight losses you see on this page, now is the time to call Dr. Feiz’s offices for your free initial consultation. At that consultation, you may address any concerns you have, from the recovery period following surgery, to whether your insurance covers weight loss surgery cost. You can also reach us via our contact page.